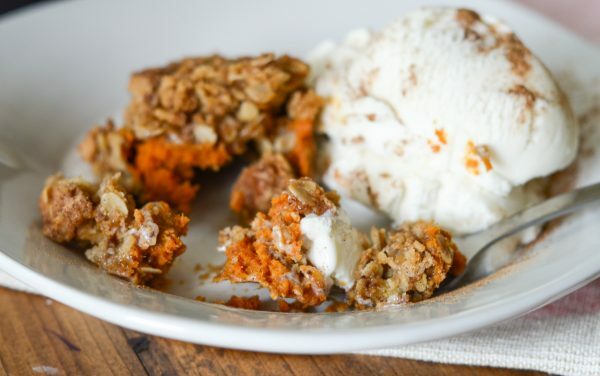 Celebrate fall with a delicious Gluten Free Baked Pumpkin Crisp! I live for fall, do you? All of the other seasons are just fine, but fall…I could enjoy fall all year round. The air is absolutely perfect, the clothes consist of all my favorite colors and hoodies too, and then the food is just delicious. The fall flavors of maple and pumpkin begin to fill my home in the fall. We also end up doing even more outdoor cookouts and evenings surrounded by the fire pit. It’s bliss and dreamy! It does make me wish we had a few more neighborhood kids for our kids to play with so we can enjoy some time with neighbors nearby around the fire too. That’s the one downside of living further out from the rest of the world, very little neighborhood kids to play with. The upsides though far outweigh the downs, so I plan to stay here a long while. The fall also means that pumpkin suddenly sneaks its way into our daily lives frequently. 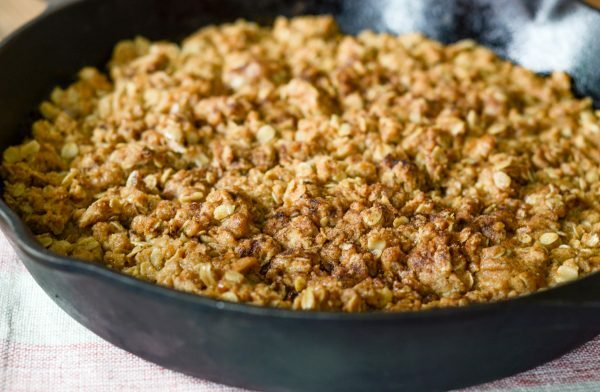 One of my go-to desserts year round is a delicious baked fruit crisp. This time I opted to try it with Pumpkin. It was different than the rest, but just as delicious! It had more hints of pumpkin pie, which was a nice surprise. 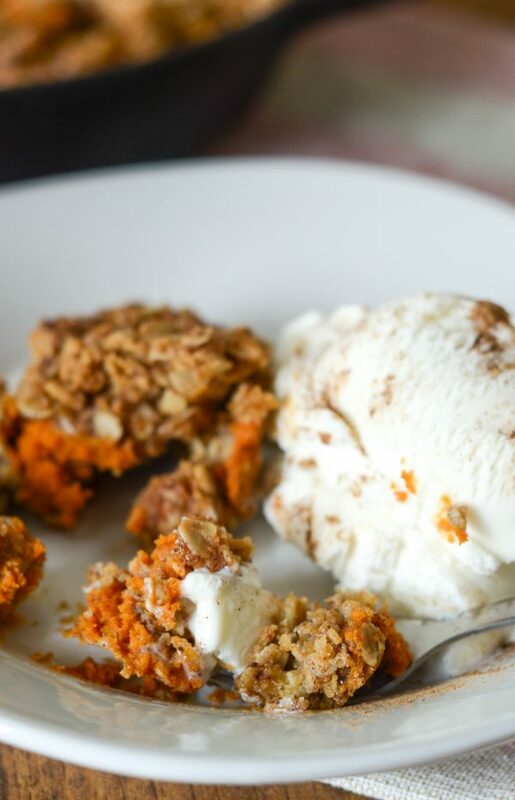 We paired our Baked Pumpkin Crisp with a side of vanilla ice cream to complete the delicious dessert. 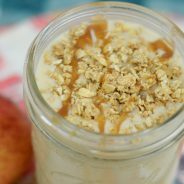 This can easily be paired with a whipped topping or frozen yogurt too. 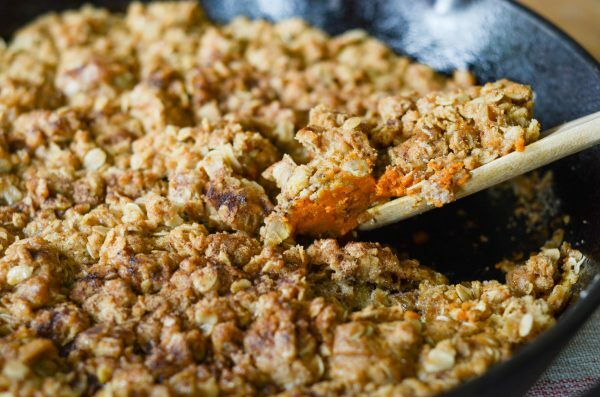 What do you need for Baked Pumpkin Crisp? It takes mostly items you will likely have on hand in your pantry, plus the pumpkin as well. I actually keep a few cans of pumpkin stocked in the pantry. A few years back it was quite hard to find any canned pumpkin at the start of pumpkin season, ever since, I always keep a few extras. Thankfully, they last long since they are canned goods. 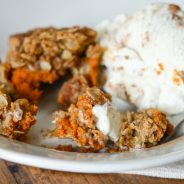 Remember, these will be much sweeter than this Baked Pumpkin Crisp; however, they are some of my favorites! 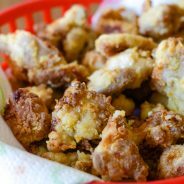 That’s why I have so many variations, we just love this recipe. 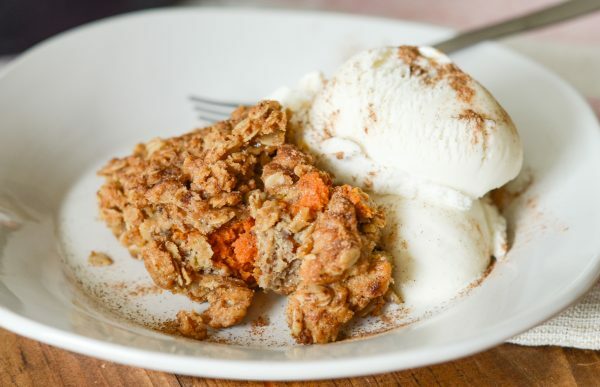 Now, it’s time to enjoy this Gluten Free Baked Pumpkin Crisp! 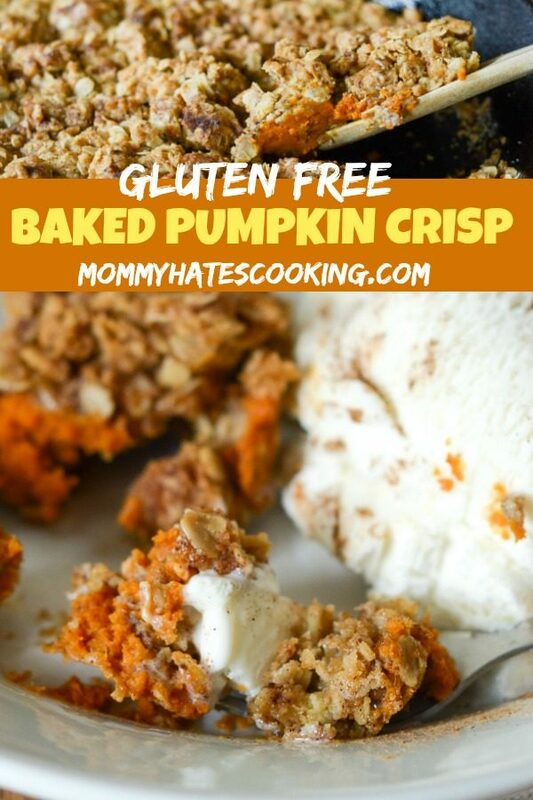 Make a delicious fall dessert with Baked Pumpkin Crisp, it's easy to make gluten free too! 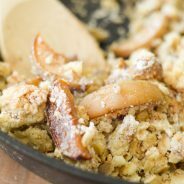 Spray a cast iron skillet or 9x13 baking dish with non-stick cooking spray. Evenly spread the pumpkin on the bottom of the skillet or dish. In a small bowl, combine the sugar, flour, cinnamon, nutmeg, and pumpkin pie spice. Place this mixture evenly over the pumpkin. In another bowl, combine the oats, flour, brown sugar, baking powder, and baking soda. Then, mix in the melted butter. This mixture should be very crumbly but be sure that the butter is mixed in well. Evenly crumble the mixture over the pumpkin. Add a dash of cinnamon, nutmeg, and pumpkin pie spice to the top. Bake for 45 minutes at 350* or until nicely browned. 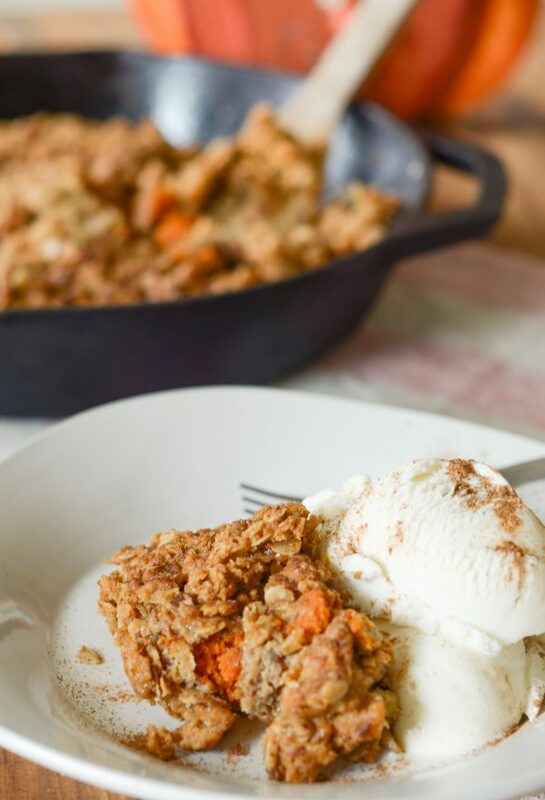 Serve warm with a side of ice cream or whipped topping.